Today, we are celebrating Thanksgiving. No, we did not forget that tomorrow is officially Thanksgiving. Usually the reason behind something like this is a chain reaction of events. Such is the case today. In Haiti, one needs to be pretty self-sufficient in many things. Because of the poor amount of electricity provided by the local company here, we have to run our generator in order to have enough current inside our house. This generator usually charges 16 marine batteries. Unfortunately, some of our batteries are no longer working and we have half the supply that we normally have. We are now down to 8 batteries. The generator charges the batteries so that when the generator is off, the batteries take over and we still have electricity for several hours in our home. Because of the lack of batteries, everything lasts half the time that it normally would and we also unplug big power drainers like the frig and freezer to conserve the current as long as we can. It’s a vicious cycle! We give thanks to Pastor Mike and Mary Chatt and the church family at Rock Church of Tarboro once again for buying our turkey with all the fixings. We also give a big shout out to Agape Flights for flying in our Thanksgiving meal as they do so faithfully every year. 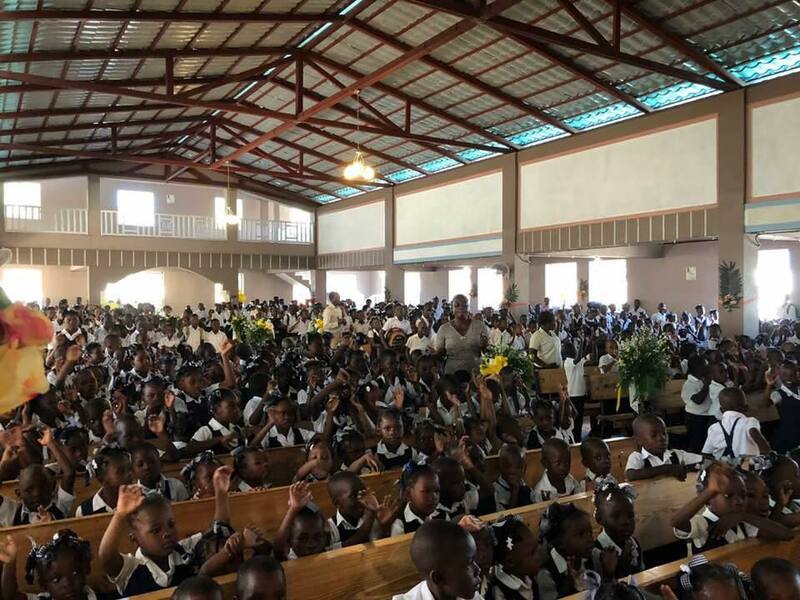 Today, we celebrated our 35th Thanksgiving in Haiti. We are thankful for his keeping power. Happy Thanksgiving Everyone! Bless you, sweet Roomie! You are a blessing to so many. Thanks for always sharing and being positive! You remind us that Thanksgiving is anytime we stop to be thankful for our blessings, not just a date on the calendar. Thank you, Robin. Happy Thanksgiving!